PHILADELPHIA - May 30, 2017 - PRLog -- From magicians to tap dancers, martial arts demos, music and personality Kato Kaelin to a varied lineup of singers, songwriters, bands, dueling pianos and other options, Wizard World (OTCBB:WIZD) today announced the highlights of its new non-stop entertainment lineup at Wizard World Comic Con Philadelphia, June 1-4 at the Pennsylvania Convention Center. The initiative, designed to keep the show floor buzzing throughout the weekend, will feature national and local acts of all kinds, allowing fans to enjoy more of the best of pop culture during the event and into the evenings. Nearly all of the entertainment is included free with any admission to the show. 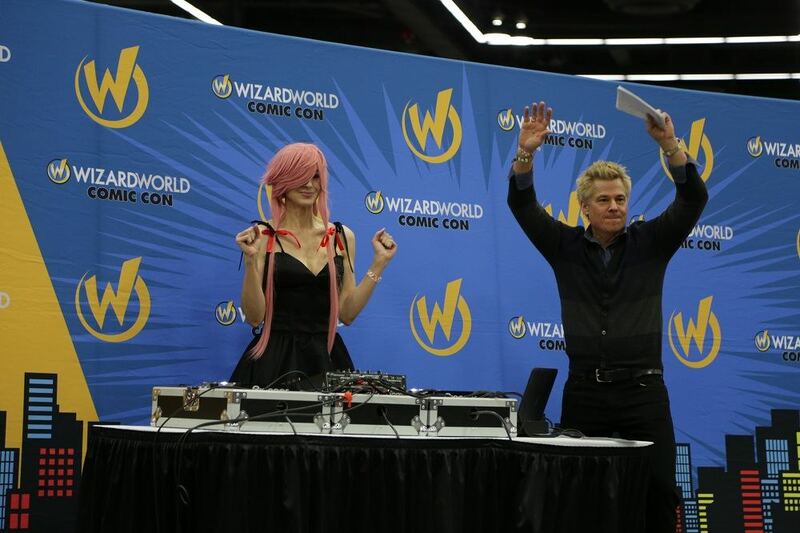 "We want Wizard World Philadelphia attendees to come away from our show with a full pop culture experience that goes beyond meeting celebrities and getting autographs and photographs," said John Maatta, Wizard World CEO. "Whether it's world-class magicians, interactive Q&A's with interesting personalities, live music, dance and art demonstrations, it will be wall-to-wall entertainment all weekend. These are in addition to the celebrity sessions, creator panels and other topical programming fans have come to expect at Wizard World events." · An array of Kids programming all day Saturday and Sunday, including costume contests both days! The entertainment offerings supplement a top-flite celebrity lineup which includes Jesse Eisenberg (Batman v Superman, The Social Network), Chuck Norris (The Delta Force, "Walker, Texas Ranger"), John Cusack (Say Anything…, Better off Dead…), Gene Simmons (KISS Frontman), Famke Janssen (X-Men, GoldenEye), Paul Bettany (A Beautiful Mind, The Avengers), Guardians of the Galaxy stars Michael Rooker ("The Walking Dead") and Sean Gunn ("Gilmore Girls") and the "Riverdale" foursome of K.J. Apa, Lili Reinhart, Camila Mendes and Cole Sprouse and many others. The event marks Wizard World's 18th annual show in Philadelphia and the seventh on Wizard World's 2017 calendar. Wizard World, Inc. (www.wizardworld.com) produces comic, gaming and pop culture conventions across North America that celebrate the best in pop culture: movies, television, gaming, live entertainment, comics, sci-fi, graphic novels, toys, original art, collectibles, contests and more. A first-class lineup of topical programming and entertainment takes place at each event, with celebrity Q&A's, comics-themed sessions, costume contests, movie screenings, evening parties and more. Wizard World has also launched ComicConBox™ (www.comicconbox.com), a premium subscription-based monthly box service and Wizard World Touring. Fans can interact with Wizard World on Facebook, Twitter, Pinterest, Instagram and other social media services.